Practicing: a workout called barre3 – a combination of ballet, yoga, and pilates. I am five classes in and feel like I’ve found my thing, hoorah! And while I feel that motherhood indeed is a full-body workout, I was at the point where I really needed something for myself that got me outside of the house and sweating my buns off. I love the classes and have already seen small transformations in my core and overall strength, and after three kids it’s entirely refreshing! I’ve noticed these classes also help me clear my head, and after early morning workouts that start out in darkness (when I can manage them) and end up in pure new morning sunlight, I feel completely renewed. I woke up this morning with horrible period cramps so no barre this morning, but I am going to try an evening class (I think) and go at my slow, sore pace, given that my ovaries and lower back feel as though they’ve been run over by a dump truck. That’s one thing I really love about these classes – they are all about helping you where you are, so cheers to that! Dreaming: about enjoying the rest of summer. I know that’s not fancy or even really dream-like, but I just want to savor the rest of this season as slowly as possible before school starts and our schedules fill up a bit more after Labor Day. We have a camping trip coming up that was supposed to be in Yosemite, but given the sad and horrendous California fires, we may be needing and wanting to change that up. No concrete plans as of now, but we are starting to gather up supplies and that feels good. You can read all about our camping essentials here, my friends. Cooking: most suppers on the grill to avoid heating up an already hot kitchen. We love doing a whole fish on Sundays, like snapper or salmon, BBQ veggie skewers over rice, spiced flank steak and sweet corn tacos, and grass-fed burgers with cucumber salad from our favorite farmers. Simple suppers are the best suppers. I am itching for a good blueberry peach cobbler, however, and will make the sacrifice of a hot kitchen to eat it right up! Reading: besides the Wall Street Journal each Saturday morning with Andrew, a little bit of this and a little bit of that to get a good collection of books ready for the upcoming Homesong Book Club set to begin September 1st. We will be reading 1 book per month dancing around 3 main categories: Homemaking, Parenting, Soul-Stirrers! I have about 8 of the books ready to go, and cannot wait to share them all with you. Like last year, I am going to see what y’all prefer and we will go from there. But unlike last year, I am going to keep the entire list private up until the start of each new season to keep you on your toes! Because that’s part of the fun, right? They are all going to be set up thematically which makes my heart pitter patter with joy – and the first one will be…..The Natural Elements! Get ready! Digging: up all the grass in our backyard (you read that right) and replacing it with rocks! Because we are crazy! No, no, there’s an actual reason. We have recently transformed our backyard from a clay clumps with unpromising growth potential to something much more beautiful, practical, and growth-friendly: a French pea gravel garden with soon-to-be, potager kitchen raised garden beds. I am going to share this entire process from nose to tail throughout autumn for you, and get excited because we did it ourselves and it has only cost around $1000 thus far. 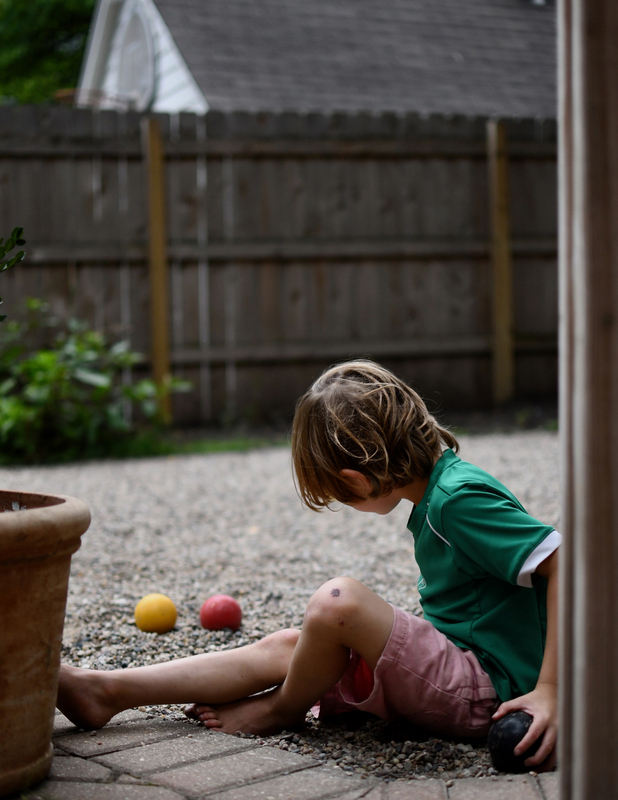 Calming: all the sibling squabbles, that is honesty more tiring than any barre class (or workout) I’ve experienced. Woof. But it’s not all bad, and we are learning, mostly me, how to be more patient and know when to step in versus letting them sort it out themselves. Planning: what the new school year ahead is going to look like. 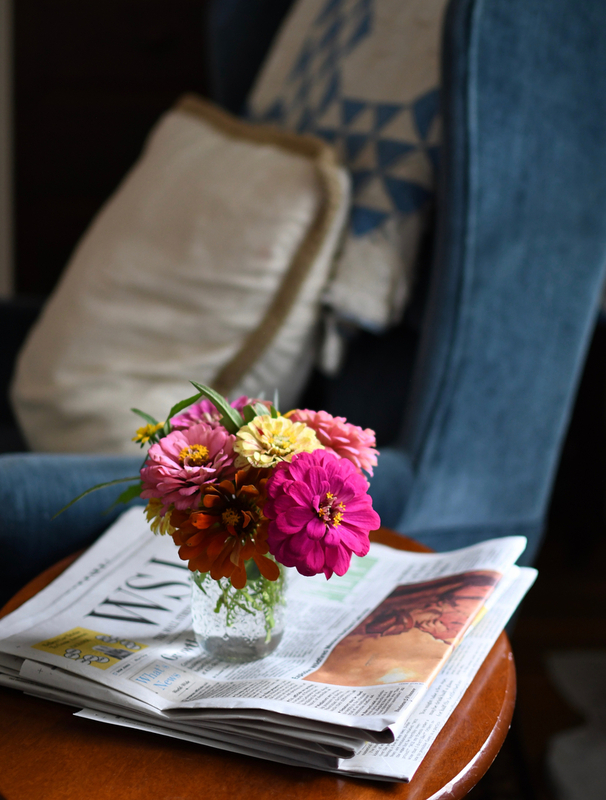 Our family does a hodgepodge of homeschool and Waldorf outside of the home, so it’s rather untraditional and doesn’t have a cookie-cutter layout to make matters simple and unfussy, so that’s where I come in. I will share more about what this will look like for us once I get a better idea of this new rhythm, for which I am entirely excited about. We have bi-weekly book themes, science projects, seasonal crafts, and several other engaging learning experiences to dabble in throughout the year. I am thrilled! Podcasting: in between folding laundry and drying dishes and I always look forward to it. So grateful for all those who are putting so much time and energy into this new-ish, beautiful medium. Right now, I (still) love OnBeing & Super Soul Conversations, and would love any recommendations you are happy to pass along. Working: on being off social media more and figuring out how I want to use that space more intentionally. Just this weekend I sat down quickly to check a page and get a recipe, and stood up 25 minutes later without the recipe having spent the entire time scrolling…! What the hay? Also, I recently unfollowed a lot of accounts that just felt off to me, and I immediately felt lighter. I don’t think you have to explain why you follow who you follow etc. but people sure like to know the why’s and how’s and who’s, don’t they? Regardless, it’s your account, so make it give you life. Period. That’s what I am working on, anyhow. Nesting: around the whole dang house, naturally. I realized that I had becoming more of a collector than a curator, so I decided to simplify and add many more items to my humble little online shop (opening in Autumn which is right around the bend – more to come on this, I’ve decided to make it a seasonal flea market of sorts! Fun, fun!) It will be a collection of homewares that are are timeless and treasured. Sipping: just a lot of coffee. Rosemary coffee. Lavender honey coffee. Iced coffee. All the coffees. Learning: more about what it means to have white privilege and how I can use my white privilege to help bring more conscious care and radical kindness into he world. I want to know more, and I want to do the work. I know this is just a blurb on a very wide and deep topic, but it’s worth addressing because it’s been on my mind and heart a lot lately. Slicing: garden tomatoes warm off the vine and putting them in-between soft bread, preferably sourdough or baguette, that has been generously slathered with honest-to-goodness full-fat mayonnaise. It’s one of life’s true delights. Listening: to Nathaniel Rateliff and the Night Sweats. They are one of Andrew’s favorite bands and we recently saw them live outdoors. They were beyond good. If you get a chance to see them, you will not regret it! Wearing: These two skirts on rotation: my green one with pockets & my khaki one from here that goes with everything. Also, I think it’s worth mentioning that I’d rather spend more on two or three good quality skirts that are comfortable, versatile, pretty and consciously made, rather than 10-12 skirts from a factory that won’t make it through a season. Just sayin’, because I never used to be this way, and it feels good to pare down (and pair down, too) to make honest and meaningful wardrobe changes. Diffusing: a lot of lemongrass and citronella to keep the bugs away. Watching: not much of anything, really. Just awaiting The Marvelous Mrs. Maisel, our favorite show last year! Wanting: to go through our rickety old basement, get rid of everything, seal it, paint it white, and make a laundry area that doesn’t give me the willies or prompt me to wear garden clogs (for stomping purposes, I know…I know…) due to the mutant crickets and hairy spiders that happen to dwell in any pile that sits longer than five minutes, and who will jump on your feet. I love our basement, can you tell? Wanna come help me sort it? 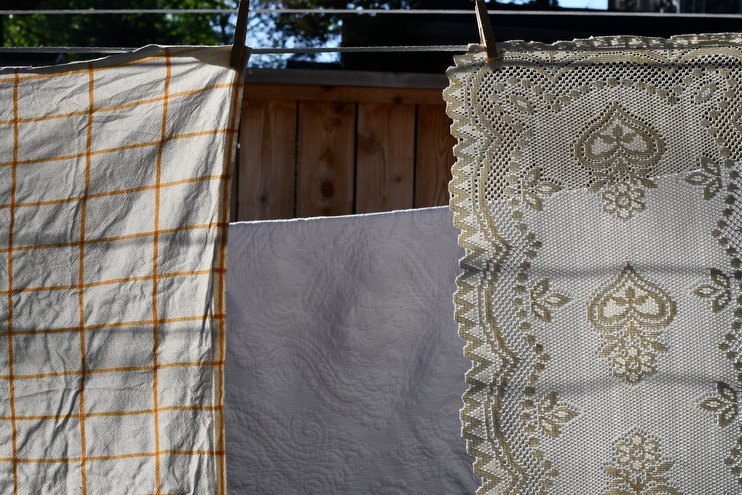 Hanging: all our whites on the line to dry in the sun – nature’s bleach sans chemicals. I also find it quite meditative and soothing to hang them and then watch each garment and sheet dance in the breeze all afternoon. I am so excited to see the garden project. Our backyard is a gravel bed with sandy soil thrown in. On top of that it was completely dug up to put in a new septic field and I had never thought about doing what you are doing. It sounds perfect for our yard. Is “The Natural Elements” the name of the book for the book club or the theme?